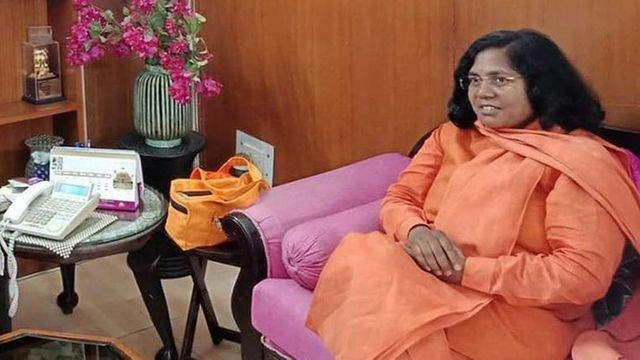 Savitribai Phule, a Bharatiya Janata Party (BJP) MP from Bahraich, Uttar Pradesh has resigned from the party, and has claimed that the BJP "is trying to create divisions in society." Phule has long been critical of the party's leadership. The Dalit leader said her objective was to get the Constitution implemented in letter and spirit. She said she will launch an agitation to champion the cause of Dalits from 23 December, adding that the country needs a Constitution, not a temple. Phule has recently been in the limelight for saying that Lord Hanuman was “a Dalit and a slave of ‘manuwadi’ people". She had also targeted Uttar Pradesh Chief Minister Yogi Adityanath for his comments on the caste of Hanuman. “ Hanuman was a forest dweller, deprived and a Dalit.